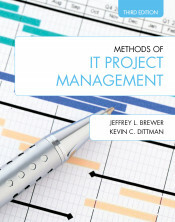 Methods of IT Project Management (Third Edition) is built around the latest version of the Project Management Body of Knowledge (PMBOK) and covers best practices unique to the IT field. It is designed for use in graduate, advanced undergraduate, and professional IT project management courses to prepare students for success in the IT field, and to prepare them to pass the Project Management Professional (PMP) certification exam given by the Project Management Institute (PMI), the world’s leading certification in the field of project management. 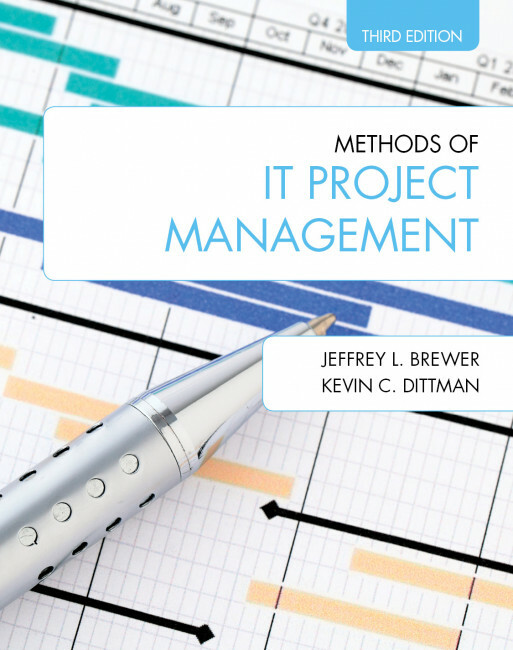 Unlike other project management texts, Methods of IT Project Management follows the IT project life cycle, from overview and initiation to execution, control, and closing. An enterprise-scale IT project (macro-case study) runs through the entire text. Each section presents mini-cases based on the larger case and focuses on new concepts presented in each section. Readers gain practical knowledge of IT project management workflows, at scale, while building technical knowledge and skills required to pass the PMP. Mini-case studies encourage deep retention, prompt rich in-class discussion, and challenge more advanced students and professionals alike. Unique skills covered can be put directly into practice. An appendix presents practice study questions and advice on preparing for and passing the PMP exam. The revised third edition includes expanded coverage of agile system development methodologies, leadership and negotiation skills, and process maturity models.